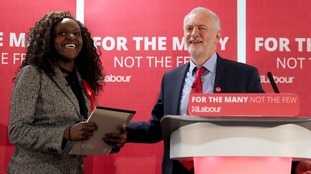 Former Labour MP Fiona Onasanya could face a by-election after a recall petition was triggered following a failed bid to clear her name. 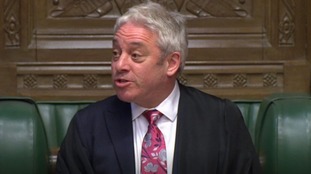 The recall petition was announced by Commons speaker John Bercow after the disgraced MP lost an appeal against a conviction for perverting the course of justice. If the recall petition is signed by 10% of the electorate in her constituency, a by-election will automatically be held but she will be allowed to stand as a candidate. The Peterborough MP was expelled from the Labour Party after being found guilty of the charge over a speeding fine falsely given to someone else in December last year. She was jailed for three months at the Old Bailey in January and was released from prison after serving one month behind bars. The 35-year-old solicitor continues to serve as an independent MP, because her sentence was less than the 12-month minimum which would have seen her automatically lose her seat and she has so far resisted calls to resign. Making an announcement to MPs in the chamber, Mr Bercow said: “I have received a letter this afternoon from the registrar of criminal appeals informing me that Fiona Onasanya’s application for leave to appeal against her conviction has been refused. “This now triggers the provisions of the Recall of MPs Act 2015 and I will accordingly be writing to the relevant petition officer to inform that person that Fiona Onasanya is therefore subject to a recall petition process. After the Court of Appeal rejected her challenge against her conviction on Tuesday, Labour said it will “actively support” efforts to trigger a by-election – possible if at least 10% of the electorate in the constituency sign a recall petition. The recall petition procedure could not be started until Onasanya’s appeal process came to an end. Representing herself at the appeal hearing, Onasanya told the court: "The charge against me was perverting the course of justice. "I said from the outset, and I still maintain my innocence, that I did not do that." But she was refused permission for a full appeal by three leading judges. 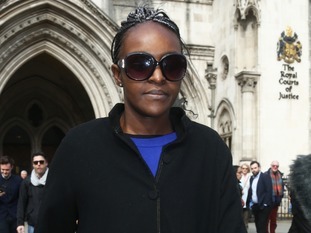 Onasanya declined to comment as she left the court and briefly entered a nearby pub before leaving in a black cab. The judge told the court Onasanya’s Nissan Micra was clocked speeding at 41mph in a 30mph zone in the village of Thorney, near Peterborough, in July 2017. She was sent a notice of intended prosecution, which was sent back falsely naming the guilty driver as Aleks Antipow, an acquaintance of her brother Festus, who was visiting his parents in Russia at the time. The court heard Onasanya then confirmed the details given in the notice twice, once in a letter and once during a phone conversation with an investigator. Onasanya, who now admits she was in the car when it was caught speeding, initially said she was in Parliament at the time. She claimed she knew nothing about her brother’s actions until he admitted filling in the form with the wrong details after their first trial, at which jurors were unable to reach a verdict. But a jury at a second trial found her guilty, after being directed by the judge that they had to be sure she had “provided or confirmed” the false information to investigators with the intention of enabling the true driver to avoid responsibility. Sentencing her in January, Mr Justice Stuart-Smith said her case was out of the ordinary because the crime was “totally out of character” and possibly committed out of misplaced loyalty to her brother. He said her life as a new MP in 2017 was “extremely hectic and chaotic” and she had just been diagnosed with multiple sclerosis when police began to pursue her. After her brother falsely filled out the notice of intended prosecution, she made the “disastrous decision” to keep up the lie from November 2017, he added. The judge said jail could be expected for giving false information even in lesser cases because it “undermines the very system of criminal justice”. Onasanya was released last week, reportedly wearing an electronic tag, after serving one month of her sentence at HMP Bronzefield in Surrey. She took the marginal Cambridgeshire seat from the Tories with a majority of just 607 at the 2017 election.